Google is testing a new form of ads where the ads animate and reform themselves as you place your mouse cursor over them. 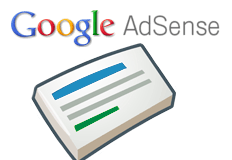 It is a form of animation within the Google AdSense ad formats. @IncrediBILL posted videos of what these look like at WebmasterWorld when you interact with them. I reposted them on YouTube, instead of the Windows Media Video format, so you can all see them right here. Are you surprised Google is testing this with Google AdSense? Do you like them? Will they increase click throughs? Will they slow down web page load time? I have not been able to replicate these myself. Forum discussion at WebmasterWorld & Cre8asite Forums.